Today Pozos has under 5,000 people. About a dozen foreigners live in and around Pozos full-time now. They and some of the Mexicans are artists of many kinds. In our two days there, we met photographers, gallery owners, musical instrument makers, a sculptor, a painter, a filmmaker, and a landscape gardener. I don’t know what label to put on Lena Bartula! All the work we saw was of a very high quality. We were lucky enough to be shown around by our friend Bill Lieberman, who is a professional photographer and also the webmaster of mineraldepozos.com, a site which describes this lovely little town in detail. At Bill’s site, you can see a map and more photos of the town, as well as descriptions of the two extremely nice hotels on the town square, Casa Montana and Hotel Casa Mexicana, and the new bed and breakfast hotel nearby, Posada de las Minas. We didn’t stay in any of these places, as we were in our little Toyota motorhome. There is no campground in Pozos, but Bill asked some of the workers in his restaurant (Los Famosos de Pozos — and it should be famous for its delicious food) for advice on where we might stay. Pozos is a very quiet little town, and he was told that we could park just about anywhere. 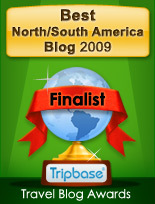 We have found in traveling around Mexico that the local people are good guides to what is safe. We do fine without hookups, and at first we found a shady spot under a tree about a block away from the plaza. Then we were offered a spot on some private land, and we spent two very tranquil nights there. 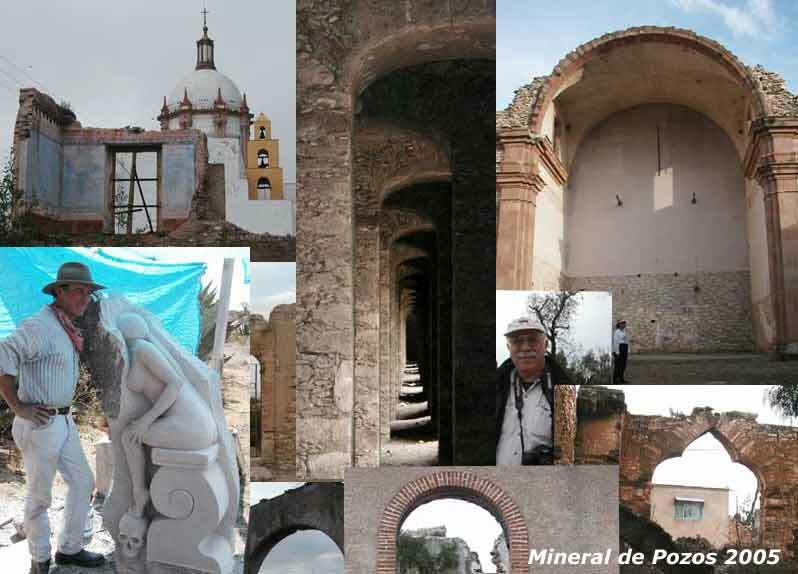 The pictures below were taken by Kelly and me, around town and also at the Santa Brigida Mines, where Bill (the fellow with the camera below) filled us in on the history of the town and the region. The sculptor John Osmond lives in Pozos as well; even if you can’t see his work firsthand as we did, his website is lovely. BUENAS TARDES ESPERO ME PUEDAN AYUDAR EL LUNES 10 DE MAYO PERDI MIS CREDENCIALES EN LA MINA POR DONDE ESTAN LAS ESCUELAS UN VIEJESITA QUE ES LA ENCARGADA DE ABRIR LA MINA ELLA VIVE EN DONDE ESTA UNA TIENDA DE ARTESANIAS QUIZA ELLA LAS ENCONTRO NO SE SI ME PUEDAN AYUDAR MI NOMBRE ES MARIA TERESA DE JESUS TAVERA SANCHES DEL D.F. yo ehh ido a san luis de la paz, pues la fam de mi esposo es de ahi y no conocia que existia este lugar, en julio si dios quiere iremos otra vez y voy hacer todo lo posible por conocer este lugar,se me hace interesante,….